Since the world of Hardstyle emerged from the depths of the universe, very few acts have faced the test of time and succeeded in bringing true passion and innovative creativity to their productions for many years. Noisecontrollers is certainly one example of a rare breed of pure creativity that has thrived in the world of Hardstyle for over one decade. The contagious and addictive signature sound of Noisecontrollers is based on the foundations of high quality production with an ambition to master the depths of hardstyle with an undying ability to emotionally captivate all listeners. 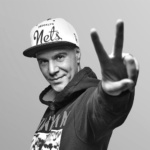 Noisecontrollers first album, E= NC2 (The Science Of Hardstyle) brought out an array of fresh tracks and this effort was doubled when Bas released his second album “All Around” in 2014 on Q-Dance Records. His third album, “All Night Long,” which comprised of collected studio material from the years 2013-2015 served as a huge inspiration to the scene as he expanded the musical horizons of many listeners. 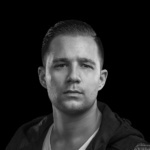 Recent tracks such as “Down Down,” “All Around The World,” “All Night Long,” “Wolfs” and his 2014 Qlimax anthem “The Source Code Of Creation” are deemed as modern classics, demonstrating the finest sound design amongst modern productions. His most prominent production as of late was his feel-good Summer-jam and creative collaboration with Bass Modulators “Solar.” Premiered on the mainstage at Defqon.1 during the captivating end-show, it wasn’t long until this melodic and powerful masterpiece dominated the charts and inspired this innovative, new clique to exclusively team up as NCBM. has performed in every single continent, excluding Antarctica.